New Rimmel Apocalips I hear you say? Yes, that's right. Rimmel have added five new shades to their infamous Apocalips lip line. Now I don't know whether I've been living under a rock for the past few weeks or whether I've genuinely missed something but why has there been zero hype surrounding these new shades? When the Apocalips were first released, every blogger and their dog went mental for them. They were popping up on blogs here there and everywhere so I'm pretty surprised I hadn't heard about any new shades being released until I spotted them myself while perusing the Boots website. The new shades are all very appropriately named and in-keeping with the 'Apocalypse' theme and are as follows - 'Aurora' (totally reminds me of sleeping beauty), 'Out of the World', 'Shooting Star', 'Eclipse' and 'Across the Universe'. Aren't the names super cute? There's something for everyone in the new range as there's light neutral shades and bold deep shades. I'm more of a bold and bright kinda girl so I decided to go for 'Across the Universe' which is shown as a deep red on the Boots website. I really like wearing deep reds in the A/W months (think Kate Moss 107) so I was excited to try a similar shade in the Apocalips formula. 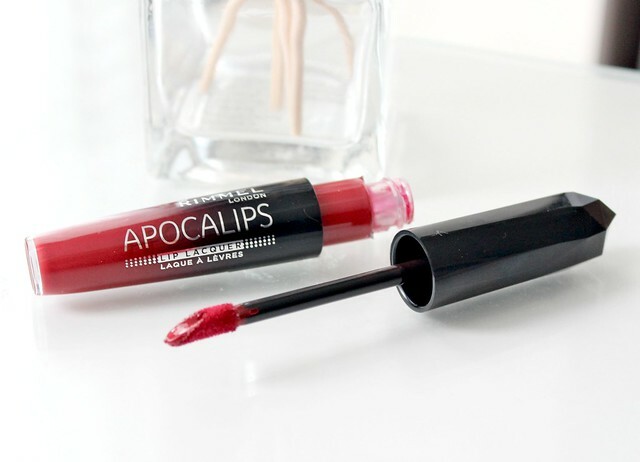 If you haven't tried the Apocalips before and don't know what they are, they're essentially a mix between a lipstick and a lipgloss, a hybrid lip product referred to as a 'lip lacquer'. They almost feel like paint when you apply them to the lips as they're insanely pigmented, quite wet and glossy. However, when they're left to 'set' they become more firm on the lips and leave a stained effect instead of a high-shine finish. My favourite thing about them is how long lasting they are - once I've applied one of the Apocalips, I don't have to think about re-applying for hours. 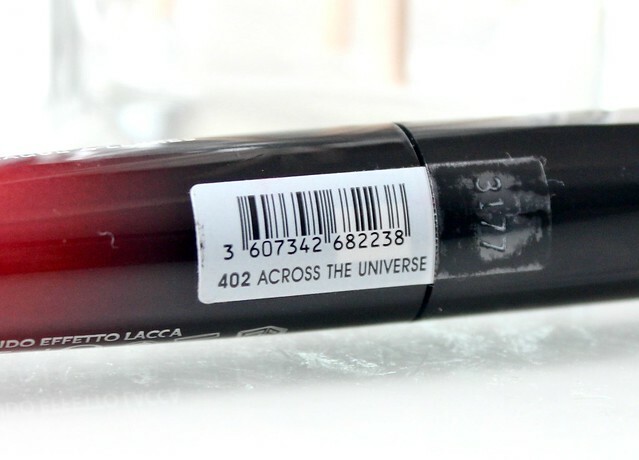 So as I said, the shade I opted for from the new range is 'Across the Universe' and although I really like it, it wasn't the shade I was expecting it to be from the swatch on the Boots website. Like I said earlier, I imagined it to be Kate Moss 107-esque but instead it reminds me of an ever so slightly darker version of the Apocalips I already own in the shade 'Big Bang'. They aren't identical as Big Bang is more of a true postbox red but they are pretty similar and I definitely didn't need both. I'm now thinking I should of got 'Eclipse' instead as I think that's more of a plum/deep berry shade and perfect for A/W. Don't get me wrong, I do really like Across the Universe and I will get a lot of wear out of it over the next few months but its slightly annoying how similar it is to Big Bang. I'm still pretty excited by the new shades despite this one being similar to one from the original line up. Its nice to see a wider range of shades available as the formula of the Apocalips is great and definitely one worth trying. I'm eyeing up 'Eclipse' and 'Out of this World' as my next Apocalips purchases - fingers crossed they aren't similar to any I already own! Did you know Rimmel had released more Apocalips shades? Am I the only one that was totally in the dark and missed all the hype? You can find them here on the Boots website. I had no idea about the new shades either?! 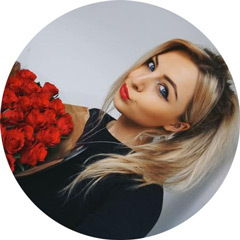 :O Excited to get my hands on some though - this shade looks gorgeous on you hun! I recently did a blog post on this shade and eclipse! Cant believe there hasnt been more hype surrounding these! I've never tried any of these would you believe! This shade is lovely tho so may need to have a swatch session when I'm next in boots! 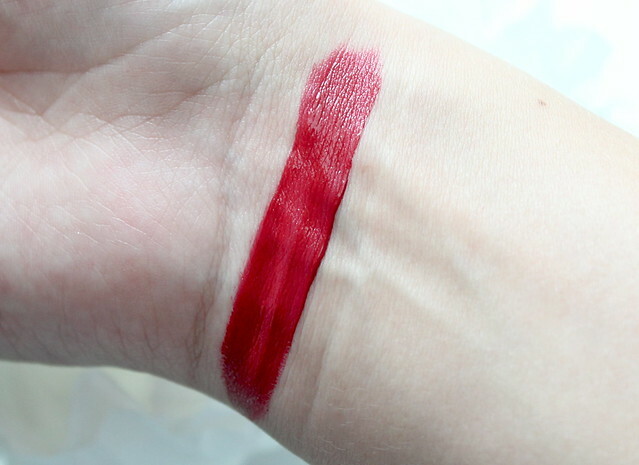 This is such such such a beautiful shade. Looks amazing on you! I haven't tried any of the Apocalips, but they really interest me because of their formula. What a pretty red! I hate it when I end up buying things that look so similar in shade. At least you'll get use out of it! the colour looks lovely on you, the shade is perfect for the autumn. I saw a really nice plum colour from this range also that was really nice! I haven't tried any of these yet. The deep berry sounds lovely! This colour is very nice on you. You suit it. 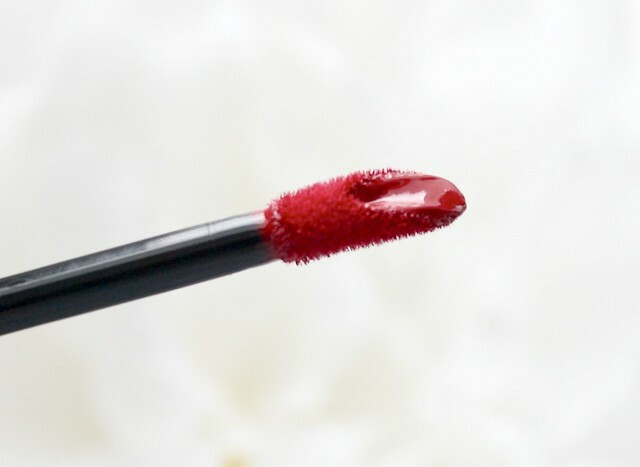 This is a lovely shade on you! I love this colour, it looks absolutely beautiful. Also, it reminds me of Snow White for some reason! Across The Universe is a gorgeous shade, but since it's similar to Big Bang & I already have that, I think I'll give this shade a miss. Thanks for letting us know because I'd have probably picked this one up first. Eclipse looks fab, I really want to try that one too! I actually checked Rimmels website and the new shades weren't even advertised on that yet! Good on you for finding them on Boots! Now that is a bright sext color. Really is sultry and sext on you hun. Really love this shade, I love the whole range! I have never even tried these, but I will definitely invest in them now! I love this product! They're all super pigmented, especially this one. I knew they were released but I hadn't gotten around to looking at them yet - and the boots website is infuriating for their 'swatches' - if I'm buying anything online I have to check google images to make sure I'm buying the right shade, haha! I was totally in the dark too! I am getting this today, gorgeous colour! Love it, but you're right…it looks practically identical to big bang! Hi - im loving this lipstick especially this shade i also did a review on this a couple of weeks ago - and now have all the colours! YSL Touche Eclat - Worth the Hype?